ffects of a 15-minute cell phone call – each 5 minutes sitting, standing, sitting. 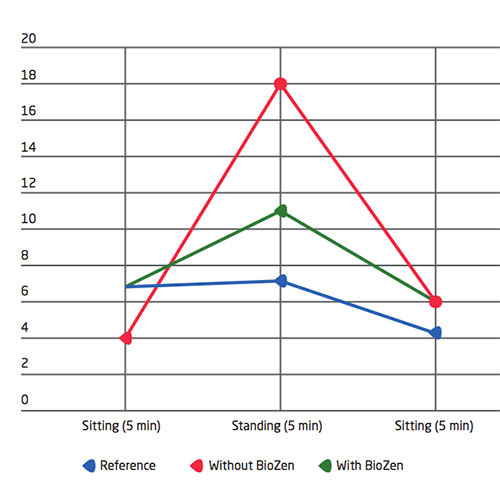 In the chart, blue represents the reference measurement without phoning, red indicates unprotected and the green curve protected phoning with BioZen. At you can clearly see, when BioZen was applied to the mobile device, the biotic stress levels of the subject were dramatically decreased, as opposed to when the subject had the same phone call without BioZen.